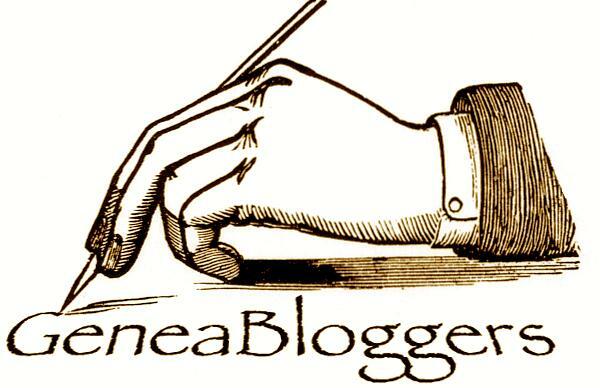 Until yesterday, when I posted my first post of this year, I had not blogged since June, 2016! Some of you missed me, thank you very much. It’s been an interesting six months, good and bad as real life always is. This is my family’s story, part of it for 2016. The less than good events were of course, my continuing battle with heart disease, and angina, which only creates problems if I walk too far, more than 20 to 35 feet, or stand more than a few minutes, or get too cold, or too hot! Our adult daughter, one of them, hurt her back and has been unable to return to work for over a year! Treatment after treatment, doctor after doctor, she had to give up her apartment and move home–then there were the medical bills. Thank God for Obamacare! Oh, you say Republicans are going to get rid of it? You say they won the elections? How did I miss that? Not! So you can see that health concerns overshadowed our lives this past year. Good news buoyed us however, our faith sustained us and fun and adventures brought joy! Max is much better, I am stable, and our daughter is improving, slowly but surely! So why did I not blog for six months? I kept thinking I would. But besides health issues, I got into helping people find their birth parents and their true heritage, genealogy! It was so rewarding, and so much fun, I felt like a detective! Amazingly, and as we all know, the universe works in strange ways. Most of the people I had the joy of being involved with were people who matched my own dna on ancestry! I’ve written about a case or two before actually, but in the last six months, the numbers of folks topped fifteen that I was involved in searching for roots with! I can hardly wait to tell you about some of them, some successful, some not, some still in progress. However, all were successful in one way, I met a new cousin! I met generally 3rd, 4th, even 6th cousins who had been adopted, and were kin to me! Amazing adventures! Of course my other special hobbies, of my 3 g’s, besides genealogy, are grandchildren and gardening. They each brought us so very much joy this year, that we can still smile,laugh,and enjoy life…and maybe even blog a little. Fully present in the moment, children help you focus on joy! Fully beautiful at the moment, flowers do also. And don’t forget Elvis, it’s his birthday! Lift your head, look around, breathe, smile, life is worth living. Wishing you all the best, and looking forward to the journey. Categories: Information | Tags: Blogging after absence, Elvis's birthday, Gardening, Genealogy, Good news bad news, Grandchildren, Happy New Year 2017 | Permalink. “We are the storytellers– called by our ancestors. ancestors. To put flesh on their bones and make them live again, to tell the family story and to feel that somehow they know and approve. Doing genealogy is not a cold gathering of facts but, instead, breathing life into all who have gone before. We are the storytellers of the tribe. All tribes have one. We have been called, as it were, by our genes. Those who have gone before cry out to us, “Tell our story!” So, we do. In finding them, we somehow find ourselves. How many graves have I stood before now and cried? I have lost count. How many times have I walked up to a grave and felt somehow there was love there for me? The bones here are bones of my bone and flesh of my flesh. How many times have I told the ancestors, “You have a wonderful family; you would be proud of us.” I cannot say. It goes beyond just documenting facts. It goes to who am I and why do I do the things I do. It goes to pride in what our ancestors were able to accomplish, how they contributed to what we are today. It goes to respecting their hardships and losses, their never giving in or giving up, their resoluteness to go on and build a life for their family. With love and caring and scribing each fact of their existence, because we are they and they are the sum of who we are. So, as a scribe called, I tell the story of my family. It is up to that one called in the next generation to answer the call and take my place in the long line of family storytellers. While many of you may have seen this writing, author unfortunately unknown, I have only read it recently. As a person who has been telling family stories for years, this message speaks to me. It also reminds me of so many of you whom I have come to know. You, the genealogy bloggers, the researchers, the family reunioners, the bedtime story tellers about great grandpa folks, you are the Storytellers of your family, and I know how valuable you are, how much it will be appreciated in years to come, how much I appreciate others who left stories and information for me to find. This poem inspired me to get back to blogging, and to start 2017 with enthusiasm and renewed energy. Looking forward to being in touch with you all again. I am also wishing you the very best in 2017! Categories: Information | Tags: Called by Our Ancestors, Happy New Year 2017, Storytellers, Why genelogical blogging? | Permalink. All over the world, people pause to remember those who fought and died trying to protect their countrymen. Different countries use unique ways to celebrate and honor their lives. In my opinion, war is a terrible thing. If it can be avoided, I would hope leaders all over the world would choose peace and collaboration over pain and suffering. In the USA, Memorial Day is celebrated on the last Monday in May. It is a federally declared holiday. Flying our flags, family picnics, parades of soldiers and sailors, decorating cemeteries, and remembering the many who gave of their lives to serve their country are some of the ways it is celebrated. Like countries everywhere, we have lost millions of lives in our many wars. Today I want to tell you the story about two of my family members who suffered dramatic deaths/wounds that represent the tragedies experienced by almost every family in the world. World War II saw millions of people all over the world die due both to armed battles, and/or as civilians caught in those fights. In 1943, one of my aunts, my mother’s sister Nancy, had the opportunity to marry her sweetheart Bob while he was home from the war on leave. He was an Air Force Pilot, and she was so proud of him! I wasn’t even born yet, but my mother told us this story many times. Five sisters participate in their sister Nancy’s wedding to Bob Guthrie in 1943. l to r, Katherine Kerse Buck with husband Roger next to her.The next two adults are Guthries, she is Cilla Guthrie, sister of the Groom. The child is the flower girl, Claudia Burnett Williamson, daughter of Julia Louise Kerse Burnett standing with her. In the middle you see the bride Nancy Langhorne Kerse and her husband Bob Guthrie. Next is Margaret Steptoe Kerse Youngblood, with an unknown man next to her. The last sister shown is Janey Bell Kerse Sommers, and behind her on the end is Cecil Hogue Youngblood, Margaret’s husband, my father. As June 1944 approached, many divisions including the 78th were raided for privates and lieutenants — among them First Lieutenant Guthrie. Even the goodbyes were hasty and Bob sailed for Northern Ireland as one of the many fillers destined for Normandy. His assignment was in Company “D,” 1st Battalion, 28th Infantry Regiment, 8th Infantry Division. On the fourth of July 1944, the 1st Battalion entered into the severe combat of Normandy and over a month of testing for Bob. The baptism of fire began on the 8th and 9th of July against a determined enemy. This was the most costly combat for the battalion; 124 enlisted men and five officers. But more was yet to come. The best ground over which to break out of Normandy lay in front of the 1st battalion. But the enemy knew it as well. On 25 July, the battalion spearheaded the St. Lo breakout through which moved two armored divisions and the 79th Division. For that action the unit received battle honors in Army orders. In the breakout the battalion went 50 miles by foot to join in the capture of Rennes. In early August, the unit cleaned up enemy resistance and took in more than 300 replacements. When we think of the men and women who gave their lives protecting their countries, most of us think of the actual fighters, and rightly so. However, “50 to 85 million people worldwide were killed during WWII.” (Wikipedia, https://en.wikipedia.org/wiki/World_War_II) “Over 9 million combatants and 7 million civilians died as a result of WWI.” (Wikipedia, https://en.wikipedia.org/wiki/World_War_I) How is it that we choose this suffering for our world! Civilian deaths are sometimes called “collateral” damage. Their families might feel collateral is not the right term. My maternal grandmother was one to be counted as collateral damage from WWI, but I’m sure she was not included in the numbers. On Memorial Day I have come to think of her wounding and death. It’s hard to believe, but this wonderful woman, a nurse by profession and by all reports a superb one, met tragedy at the hands of a patient. She was caring for a comatose private duty patient, a veteran of WWI. She had bathed him and went to empty the water, as my mother told the story. When she returned to the room, he yelled out for her to get away and called her by the derogatory name of some of our military adversaries in WWI. He was delirious, but afraid. Unfortunately, there was a rifle hanging on the wall that was still loaded, no one had realized or dreamed it was still loaded! In his delirious state he shot my grandmother in the head! Within a couple of hours, he was dead of his own illness, just that last semiconscious rousing turned her whole world upside down and that of her children and husband also! She was shot on January 28, 1930, but not killed. The bullet apparently split in half, half traveling down her neck, and half lodging in her brain, inoperable. She lived, but was unable to talk and walk well for the rest of her life–and she had six children! Shot by a mortally wounded soldier, she was a victim of the war herself. Even though I’d heard this story all my life, as I worked on my genealogy,I found several newspaper articles in archives regarding her being shot. Her death certificate, and the patient’s certificate were available to me in a records search. Since this was my mother’s mother, I heard the story from family repeatedly. These are two deaths that I will remember specifically on this Memorial day. There have been many more in our own family, and in yours, I know. This Memorial Day I will remember and honor the dead, but I will pray for leaders who seek peace. This blog post was initially published by this author in the Worldwide Genealogy~A Genealogical Collaboration. During the months of September and October, 2015, we’ve been honoring and recognizing the Educators in our Family Tree, past and present. I am presenting quite a few educators in today’s blog post. I am sure that there are many more whom I either have not identified, or did not know. Please feel free to comment and tell me about those I have missed so that I can either include them here with a correction or write an addendum. It just so happens that I had the blessing in my life to teach children with behavioral and emotional issues in first through sixth grade right out of college. After being at that level for three years, I moved to the Junior High level where I taught students aged 12-16, they would be classified middle and high schoolers today. When we first moved to Raleigh, North Carolina in 1980, I had the opportunity to teach Interpersonal Communication at North Carolina State University for 3 years as a “Visiting Lecturer”. Most of you know, with my BA from Greensboro College and my MA in Clinical Psychology from Chapman College, I went on to become an individual and family therapist for twenty years after that. My point is to say, having taught at the different levels, and known so many teachers over the years, I can say that teaching is challenging at all levels! The challenges are different for sure, but the ultimate goal is to educate, and every single level is needed to create success at the next level! 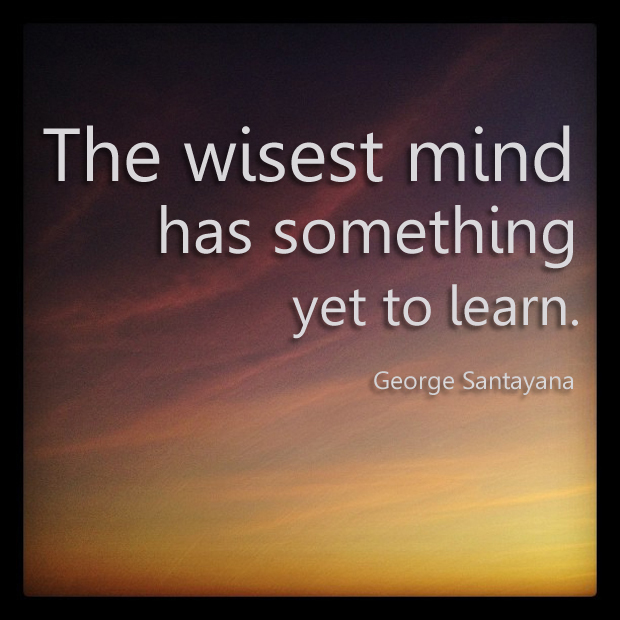 We cannot skip any level of development and learning and expect to have a well-educated person! 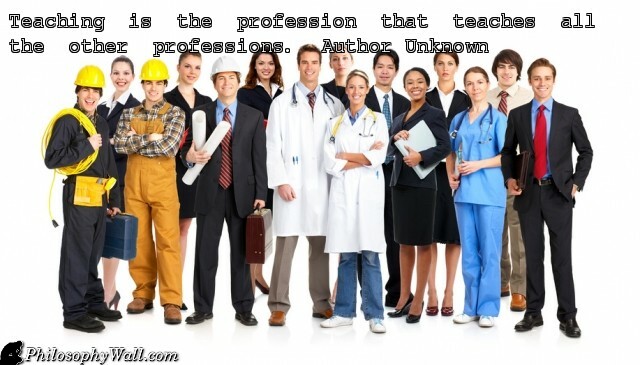 As the saying above aptly states, “Teaching is the profession that teaches all other professions!” Nothing could be more true! Why then don’t we make the salary of our CEO’s! I’d vote for that! It’s past time the importance and value of our teachers be more highly recognized by our States and National Government budget makers! We have amazing people in our family–I hope you will enjoy “meeting” these people and knowing just a bit about what they do and where they teach, if you want to be in touch with any of them, let me know and I will ask them to get in touch. I am presenting them in alphabetical order by first name, we are family after all! Carol E. Winters, PhD, RN, CNE (Doctorate, Registered Nurse, Certified Nursing Educator) my cousin through the Scottish Hogue family, is currently a Professor of Nursing at East Carolina University in Greenville, NC. She is the Director of the MSN Nursing Education Concentration–she teaches Graduate level nurses to be Nursing Educators! 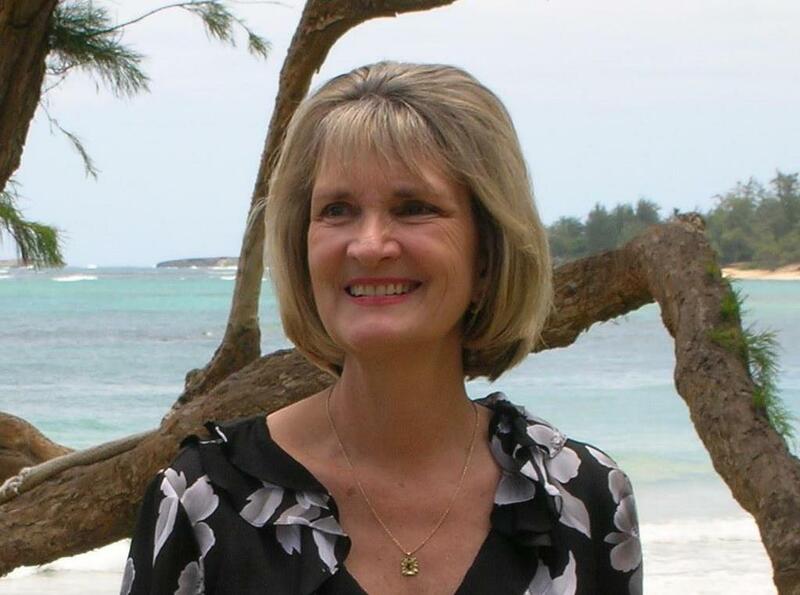 Carol served as the Dean of the School of Nursing at Hawaii Pacific University in Hawaii for 16 years before returning home to North Carolina. 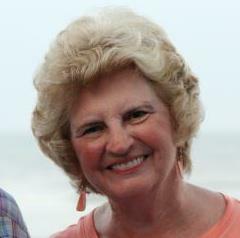 Carol has a BA in Christian Education from Greensboro College in Greensboro, NC, then an M.S. in Nursing at the University of North Carolina at Greensboro. She earned her PhD at the University of Pittsburgh in Pennsylvania. Not only has she these teaching , leadership accomplishments, but so much more! She is a published author, has been a hands-on nurse of obstetrics, and since 2009, has been a Faculty Advisor for the NFLA, Nurse Faculty Leadership Academy, a national organization sponsored by Sigma Theta Tau, the International Nursing Honor Society jointly with the Elsevier Foundation. There is so much more I could tell you about this dynamic woman who happened to be my college roommate and friend of almost 50 years! We only discovered our cousinship last year through my genealogical research! She has three children, five grandchildren, and has done vast amounts of volunteer work in her communities, and served and led many committees. October 1, 2015,–Carol Emerson Winters was honored as the 2015 Nurse Educator of the Year by the NCNA, the North Carolina Nursing Association! CONGRATULATIONS! AN HONOR WELL DESERVED! My Hogue cousin, Dee Horn, has tutored College level English at two different colleges over the years. I have known many college level tutors. When I was at NC State University I quickly learned how invaluable they were to many students–like those who had learning disabilities, some who were blind, and even some who were valuable sports team members who needed extra help to keep up with academics during their physically demanding playing and practice seasons. We take our hats off to one on one teachers! 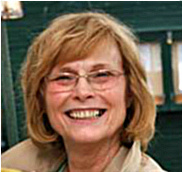 Another Hogue cousin Donna Miller earned her degree from Indiana University of Pennsylvania and taught Business Education at the High School level, in Business Schools, and at Community Colleges. Life, marriage, and children took her from Pennsylvania to Connecticut and Rhode Island. 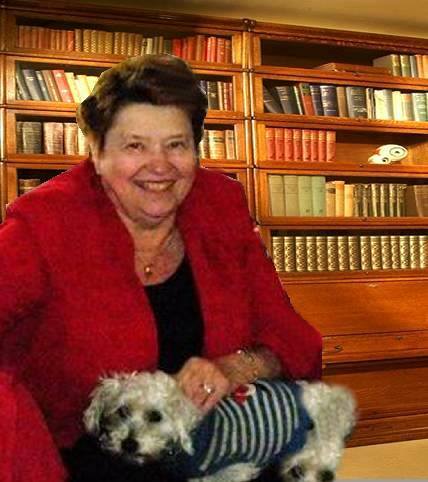 In Norwich, Connecticut, for 23 years, she taught at a business school and served as an Academic Dean! After retirement, she worked part-time at Three Rivers Community College. When I asked Donna about some memories, she said several things which I wanted to share. One was a simple teaching technique but fun: “I liked making the students think about what they were doing. Sometimes I would purposely make a spelling or grammatical error on a test and then tell the students that they would get extra points if they found it.” That’s the kind of thing that adds an extra challenge and a bit of fun for students! She went on to say: “It’s the one profession where students have actually come back and said, ‘Thank you for believing in me,’ or ‘pushing me,’ or ‘making me realize that I can do . . . .’ When you are finished teaching, you know that despite some of the negatives (there were stressors), you feel that you have done something positive with your life.” Oh yes! 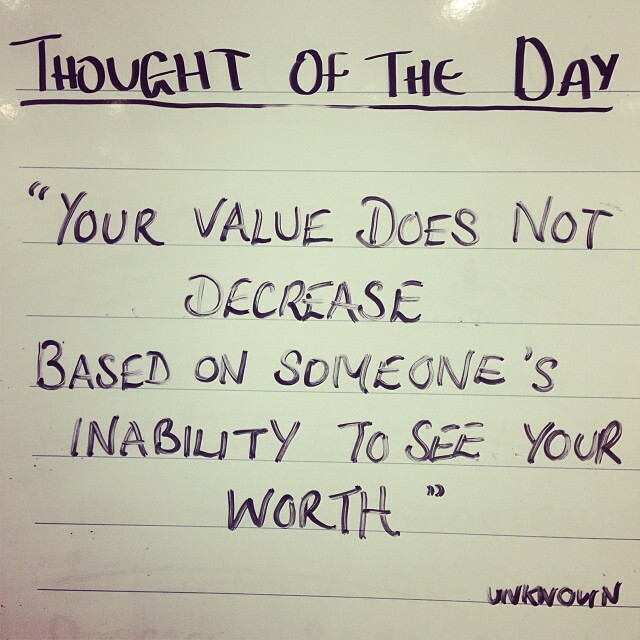 I know a lot of the educators we have profiled feel this way, and it is why we admire and love them so! When a teacher’s philosophies so resonate with you, you know you’d love to have that teacher for yourself, or for your children, and you know with certainty that they are a GREAT teacher! 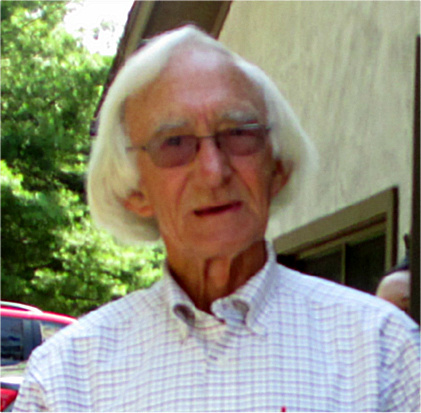 My first cousin James Goodell, great-great grandson of J.Steptoe Langhorne, has taught computer sciences for many years at Menlo College in Atherton, California. He studied at the University of Freiburg located in Freiburg im Breisgau, Baden-Württemberg, Germany. He currently serves as President of the Goodell Corporation, a family real estate school and business his father founded. Larry Youngblood is one of our multi-leveled/multi-talented teachers as well! For years he has home schooled his grandchildren through all the levels of education! 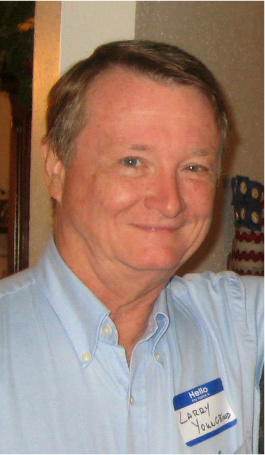 Having studied at Texas A&M University Larry has taught at Private Catholic Schools, Business Schools and Universities. For several years now, Larry has been the Administrator of the International Youngblood DNA Project researching the different family lines of Youngbloods evidenced by their dna. He is currently writing a book about the Youngblood/Jungblut/Jungbloedt families. Thank you Larry! Pat Spangler, PhD, my second cousin, son of Charles Langhorne Spangler and Kittie Cockram Spangler, grandson of Fanny Langhorne, and Great Grandson of J.Steptoe Langhorne is a geophysicist in a family with three close cousins who are/were geophysicists! What honor he and they bring to our family! You can read a previous blog post featuring them at Buck, Spangler and Houchins, Three Cousins Who are Geophysicists as Well! Pat Spangler, PhD, is retired from the University of Florida, and thus his title is now Associate Professor Emeritus of Geology. Pat has published extensively and is highly respected in the academic community as well as in his family community. I am thrilled to introduce to many of you, our cousin Dr. Rick White, PhD, Chemist. Rick is the second great-grandchild of James Steptoe and Elizabeth Rachel Omohundro Langhorne, same as James Goodell, Roger Buck IV, PhD and I are. Pat Spangler above is their great-grandson. Rick is a Professor of Chemistry at St. John’s River State College in Jacksonville, Florida after a twenty plus year career in industry. He has also taught at Florida Southern College, and at the University of Tampa. He earned his PhD at the University of Florida and did post doctoral studies at King’s College in London. (At the time of his post doctoral work, the school was called Queen Elizabeth College, but Margaret Thatcher consolidated the colleges in the mid-1980’s and it became King’s) Rick has three sisters by the way, more cousins for us to enjoy. Another extremely accomplished professional, Rick has over 25 peer-reviewed publications, and over 200 internal company reports from his time with industry. Rick worked for over twenty years for Procter and Gamble. Twelve of those years were spent in their Food and Beverage business before moving to their Health Care business where he worked for another ten years! He was an analytical chemist, supporting all aspects of product development, from inception to launch. Some of the products he worked with included brands you will recognize like Folger’s Coffee, Pringles Potato Chips, Citrus Hill Orange Juice, Pepto-Bismol, Metamucil, Crest Toothpaste, and Vick’s cough and cold remedies! Just think, from now on when you pick up one of those products, you will know that our DNA is part of the brain that helped develop them! We are very proud to be related to you Dr. Rick White! Robert Voorus, 1891-1985, my cousin through the Spangler and Hogue families, had brothers and sisters who were featured in the earlier educator posts. Robert worked in the Library of Congress as a young man. 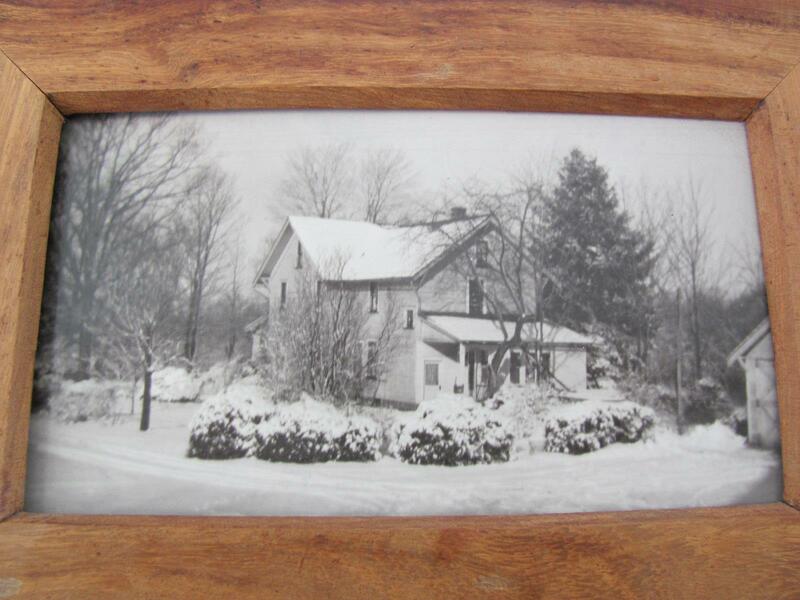 When he moved back to Pleasantville, Pennsylvania he taught at a Business School in Oil City, Pennsylvania. He is remembered by family as an excellent educator. Roger Buck,III was a master’s level Marine Biologist. He spent most of his professional life researching for the Virginia Institute of Marine Science, Gloucester Point, VA, which is now part of William and Mary College for their Oceanography Concentration. Roger not only researched heavily, but he taught at William and Mary College and earlier at Duke University. With all of his major accomplishments, Roger, my Uncle by marriage to Katherine Langhorne Kerse, was a kind and genteel man who raised a son and a daughter who both earned their PhD. His son, W. Roger Buck IV, became an educator and research scientist as well, while his daughter Tyler Buck is a financial analyst and advisor with her own company. Roger Buck, IV,PhD, my first cousin through the Kerse, Houchins, Langhorne families, is a Professor of Geophysics at Columbia University in New York. His speciality is earthquakes and he researches through Columbia University’s Lamont-Doherty Earth Observatory in New York. He has traveled the world lecturing and researching as he says, from “collecting rock samples for radiometric dating in Egypt, and in the Mojave Desert, to diving on the Reykjanes Mid-Ocean Ridge in a Russian submersible, and helping with GPS surveys on Iceland.” What amazing adventures this cousin has experienced! I just want to make a couple observations regarding our families. The Langhornes were a wealthy family from England. But James Steptoe Langhorne became blind, several of his children, grandchildren and more, were blinded by the same inherited disease, his only natural son drowned at age 16, and after the Civil War, he was land poor and devastated! Wouldn’t he be amazed and gratified that his grandchildren and greats would grow to be such good and educated people, and educators! He and his wife Elizabeth started a school and a Sunday School in Meadows of Dan, Virginia both of which were very important to them. We have carried on that philosophy–because it is imbedded in our DNA? It is interesting! The Hogues emigrated from Scotland, the Youngbloods from Germany, while the Voorhees originated in the Netherlands. They fought in our Revolutionary War and our Civil War and many others. They were honorable people who supported their new country, but most of all, the Voorhees and Hogues were Presbyterian Ministers and educators. It is amazing to me to see the traditions and/or the DNA at work in such a continuing fashion. What accomplishments for all of us to be proud of, and thankful for! Thank you our family members who educate all of us– for your inspiration, your wisdom, and your hard work! We honor all of you as you have honored us! Categories: Buck family posts, Genealogy, Hogue/Hoge/Hogg family posts, Houchins family posts, Kearse/Kerse family posts, Langhorne Family posts, Spangler Family posts, Teachers in the Family Tree, Voorhees Family, Winters family posts, Youngblood family posts | Tags: Carol Winters, College Professors in the Family, Dee Horn, Donna Miller, Genealogy, Hogue, Houchins, James Goodell, James Steptoe Langhorne, Langhorne, Larry Youngblood, Pat Spangler, Rick White, Robert Voorus, Roger Buck, Spangler, Youngblood | Permalink. I love the saying above! 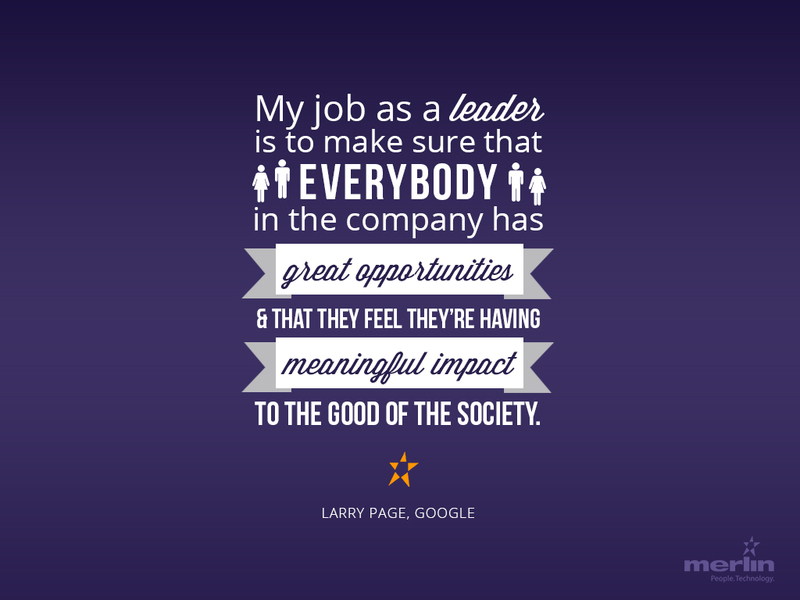 Larry Page may have been talking about Google employees when he said this, but if you change the word “company” to “school”, I believe this is a perfect saying for educators! They all want to have an impact for the good of society! Their principal can help them get there if she/he is a good leader! I only know of one actual sitting Principal in our family at this moment in time, but we have had many over the years. I want to highlight a few of these special people for you today! Our currently active high school principal is Dr. Richard Turner, EdD, principal of William Byrd High School in Roanoke County, Virginia. He is our cousin through the Langhorne, Spangler, Omohundro, Stovall, and Turner lines of our family tree. Richard served as the Assistant Principal at William Byrd High School from 1992-1999, and has been the Principal there since 1999, for sixteen years now! You have to be amazed at his meteoric rise in educational leadership when you realize that he graduated with a BS from Virginia Polytechnic Institute and State University (Virginia Tech) in 1982 and started teaching Marketing Education at William Fleming High School that very year! 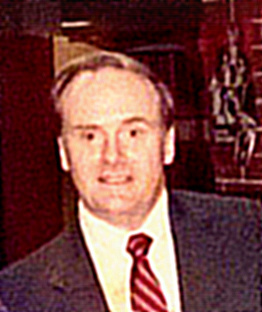 In 1987, Richard earned his MS at Virginia Tech, and from 1988- 1992 he served as the Program Coordinator (Supervisor) for the Marketing and Adult Education Programs for the entire Roanoke County Public School System. He went on to earn his Doctorate in Education in 1994 at Nova-Southeasern University. While that is a good overview of his education and main career focus in the last 33 years, it nowhere near paints a complete portrait of this dynamic man who shares our genes and makes us proud to be related! Was he only teaching and leading? Not by a long shot! He is married to the talented Tina Turner who is also an educator! She is the Assistant Principal at Hidden Valley High School, also part of the Roanoke County Public School System in Virginia. Richard has two young adult children from his first marriage and two stepchildren, also young adults. That’s four children whose lives he’s been a major part of during his life, as well as the thousands of student lives he’s touched. Along with his demanding main career and family responsibilities, Richard has made his life bloom with other interests and responsibilities as well. He served as an assistant basketball coach and a head soccer coach along the way. He taught and coordinated adult continuing education classes as well. However, his leadership abilities were well-recognized as he served his community in these many different capacities.He was the chairman of the Blue Ridge District with the Virginia High School League (VHSL) and chaired the VHSL Region 3! He is a past-state President of the Virginia Association of Secondary School Principals (VASSP), and currently sits on the Board of Directors for Region 6. He rises to super stardom when you realize that he is a current member of the Parent’s Council at James Madison University where his daughter is a senior, and has served as the past chairman. He is also on the Board of Directors for the Vinton, Virginia Chamber of Commerce, and serves as the co-chair for the Leadership Council for the Roanoke Valley chapter of the American Cancer Society! You’d think that would be all any one person could manage, until you discuss hobbies with him! Richard admits that he loves anything and everything related to Virginia Tech! Since Virginia Tech is all about the burnt orange and Chicago Maroon, I am trying to honor his enthusiasm with this post! I can’t imagine where he gets the time, but he likes to golf, is a ham radio operator, , and loves working with old cars and hot rods! He even has a collection of cars! He raced alcohol powered karts for many years with the World Karting Association (WKA) and won several track titles! Can you believe he finds time to serve even now as a part-time crewman for BK Racing on the Sprint Cup Series! For those n the know–his team has 3 cars that compete, #23-Jeb Burton, #26- J.J. Yeley, and #83- Matt Dibennetto! Can you say Wow! Awesome! Inimitable! Superlative! Excellent! Yes, Dr. Richard Turner is all of these things! He is also our cousin. Our dna crosses over. He represents us more than well, and like all of our educators, we are so blessed to have him in our family! Thank you Dr. Richard Turner, for who you are, for your accomplishments, and for your gifts to our civilization and society! We applaud you and are happy to call you family! 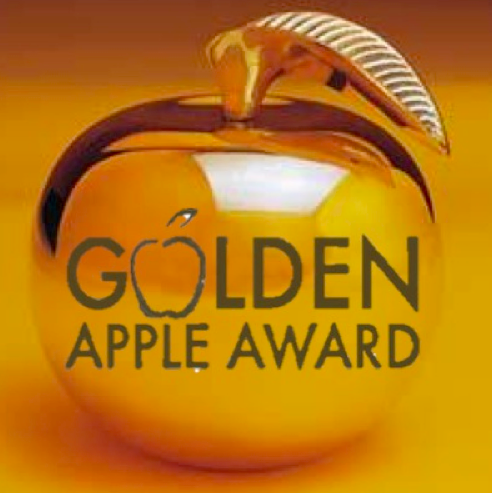 I have three more Principals to present to you for our honoring of educators in the family! They will be included in the next post. I hope you are enjoying learning about the amazing educators in our family as much as I am! What a talented group of people! Categories: School Principals in the Family, Turner Family Posts | Tags: Dr. Richard Turner, EdD, Genealogy, High School Principals in the Family, Juel McKay Turner, Virginia, Virginia Tech, William Byrd High School | Permalink. 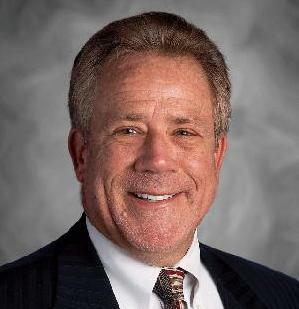 Today I want to introduce you to a true leader and another school Principal in our family tree! Kay Youngblood Fuller is my 2nd cousin on my father’s side of the family. We knew each other as children in Richmond,Virginia, then lost touch until we ended up at the same small Methodist College, Greensboro College in Greensboro, North Carolina. This allowed us to renew our friendship which has lasted uninterrupted since then in 1968! Being friends with this dynamic leader and ball of fire is amazing all by itself! She is fun to observe and fun to be with–she’s like the driving force or the wind beneath a lot of people’s wings! 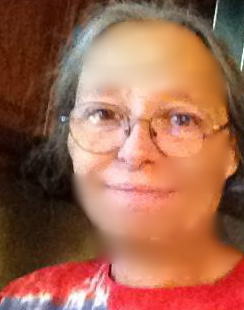 Kay has been married for 45 years, and has three children and three grandchildren. 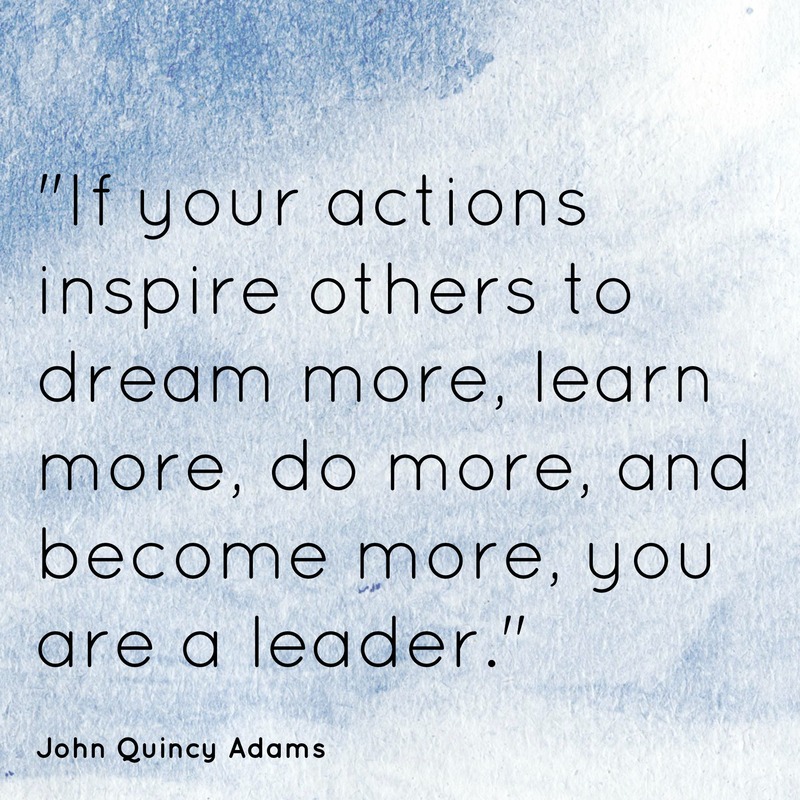 Like many educational leaders, she has done it all! After college, Kay went on to earn not one, but several Master’s degrees! She earned a Masters in Curriculum at Elon College, in Elon, NC. She also earned a Master’s in Educational Administration at University of North Carolina at Pembroke, UNCP. As if that wasn’t enough, she completed all but her dissertation in Educational Leadership from UNCP/East Carolina University! What’s amazing is that Kay did all this while parenting three small children! When Kay walks into a room, people notice the energy she exudes! Giving you the briefest synopsis of Kay’s career is still amazing in my opinion! I neglected to tell you that Kay is also a talented musician, playing several instruments and singing beautifully! Think God gave her enough talents? The wonderful thing is that she uses them! 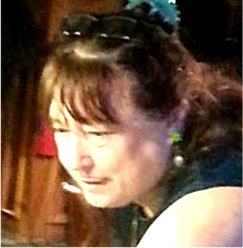 She served as a Director of Music at Harrells Christian Academy in Harrells, North Carolina, then held the same position at Heritage Academy in Newman, Georgia. When her family relocated to Greensboro, NC, Kay started teaching eighth grade Math, first at Mendenhall Middle School, then at Kiser Middle School for the Guilford County Public School System. I personally was thrilled when her husband’s job brought them to Raleigh, NC where I was living. The Wake County Public Schools System was very happy to have this experienced educator to teach 8th grade Math and English at Ligon Gifted and Talented Magnet Middle School, where both of my children attended! Never a family to let grass grow under their feet, Kay soon found herself teaching in Laurinburg, NC where she not only taught 8th grade Math, but became the AIG-Academically/Intellectually Gifted Program Facilitator at Spring Hill Middle School! Her leadership skills firmly recognized and tested, she was chosen the Assistant Principal of I.E. Johnson Elementary School, then the Principal of Scotland High School of Leadership and Public Service in Scotland County, North Carolina! After serving Scotland County Schools as the Director of Secondary Education, at only age 63, Kay retired with 37 years in education! Bill Williamson was married to my first cousin Claudia. We already had the chance to meet his dynamic daughters, teachers Becky W. Stodola and Stephanie W. Nicklin. He has a very entrepreneurial son, Bill Jr, a good businessman as well! 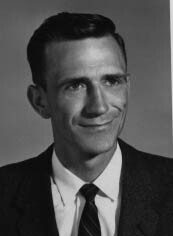 Bill Sr. was a popular Science teacher at Matoaka High School in Chesterfield County, Virginia, where he was also a football coach. He was later tapped to be the Principal there where he was so well-known. I wonder if that made his job harder or easier? He served as Principal at two other schools as well, Kanawha Elementary in Cumberland County, Virginia, and Mechanicsvile Junior High School in Mechanicsville, Virginia. Bill also earned three Master’s degrees– one from the University of Virginia and two from Virginia Commonwealth University! We do have an educated family–one who lives by their strong beliefs in the importance of education! Tragically, Bill was killed in an automobile accident when he was only fifty years old. He would have been so proud to see how well his children have done professionally and personally–how they have followed in his footsteps in education. How they’ve become good people who care about others. His grandchildren as well, four of them, all growing into smart, exciting young men and women. We are blessed by this family in ours and in our world! 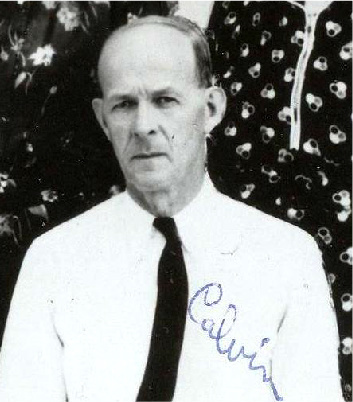 An ancestor Principal, Calvin Hogg, was born 10 Mar 1883 in Slippery Rock Township, Butler County, Pennsylvania, and died 15 May 1962 in Cherry Township, Butler County, Pennsylvania. He is related to our family on both my father’s side through his Hogues and Watts, and on my mother’s side of the family through the Hoges and the Spanglers! Isn’t that amazing! I did not know this until I started working on genealogy and met his granddaughter, my cousin, Dorothy Voorus Hogg Moore, called Dory. The Spanglers are related to Dory through her Voorus/Voorhees line of ancestors! Amazing. Calvin and his whole family were educators. We already met and heard about his wife Dorothy and her sisters, Bessie, and Lena. His son, Dory’s father, Robert Arthur Hogg, taught Science and later became a Guidance Counselor. We will hear about another of Dorothy’s brothers when we meet our college educators. Calvin was an interesting person. He served in the Armed Services in World War I. When he returned, he earned his BA from Grove City College and his MA from the University of Pittsburgh. He then taught at Karns City Elementary. Later he served as the Principal at both Harrisville and at Evans City School. He moved on to be a District Supervisor and the Assistant Superintendent of Butler County Schools until he retired in 1953. What a career he had! How much would I have liked to have had the opportunity to talk with him about all of his experiences over the years. He attended schools before the turn of the 20th century, then taught and lead them for another half century, can you imagine what he could tell us? 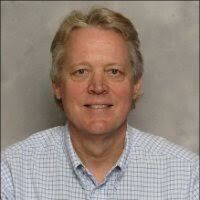 He was retiring about the time Juel Turner from our last post was beginning his educational career. We know Juel filled his own pot-bellied stoves for warmth in his classroom and taught and served as Principal at the same time–can you imagine what the classroom was like for Calvin Hogg? I would have loved to hear his stories! Five School Principals profiled, five in one family system! I think that is pretty amazing, and I am sure there are more of whom I am not aware. These five however, bring us great honor as a family, and so we honor them back! Thank you for all of your hard work, for the huge gift you have given our society and our family as you have chosen to lead the call for the importance of education! Our last educator posts will focus on our college professors and instructors. We have quite a few of these talented individuals who represent our family well. 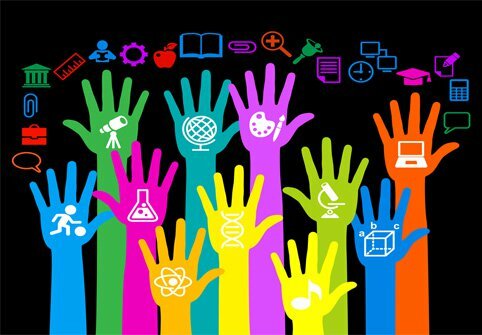 Please share your thoughts with us, tell us about your favorite educator, tell us about some of these if you knew them. Until we meet again, keep on learning! Categories: Hogue/Hoge/Hogg family posts, Spangler Family posts, Williamson family posts, Youngblood family posts | Tags: Bill Williamson, Calvin Hogg, Genealogy, Greensboro College, Kay Youngblood Fuller, North Carolina Schools, Principals in the Family, School Principals, University of Virginia, Virginia | Permalink. In this the second part of honoring the high school teachers in our family, I have some more very interesting people to introduce to you! 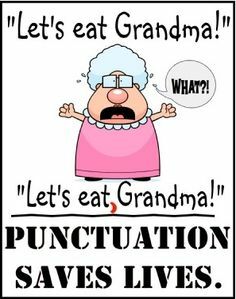 One is a retired English teacher so that I’d better watch my dangling participles! Continuing in alphabetical order by last name we’ll be saluting a science teacher first. Martha Powell Beck Holshouser, wife of my husband Max’s first cousin, John Alton Holshouser, is a retired Science teacher who was married to a farmer. She worked on the farm and helped raise prize-winning show cattle, as well as reared three wonderful, smart and kind sons– all married, some with children of their own! Besides her busy schedule and teaching responsibilities, Martha has helped organize the Holshouser family reunion for 4o years! In 1973, Martha graduated from Pfeiffer University in Misenheimer, North Carolina. She then taught for 30 years! Fifteen of those years were spent teaching science at Erwin Junior High School, and 15 at East Rowan High School. Both schools are located in Salisbury, North Carolina. Martha taught science all of those years! She taught Physical Science, Earth Science, Environmental Science, and Chemistry! I know Martha well, and she is a doer, a go getter. 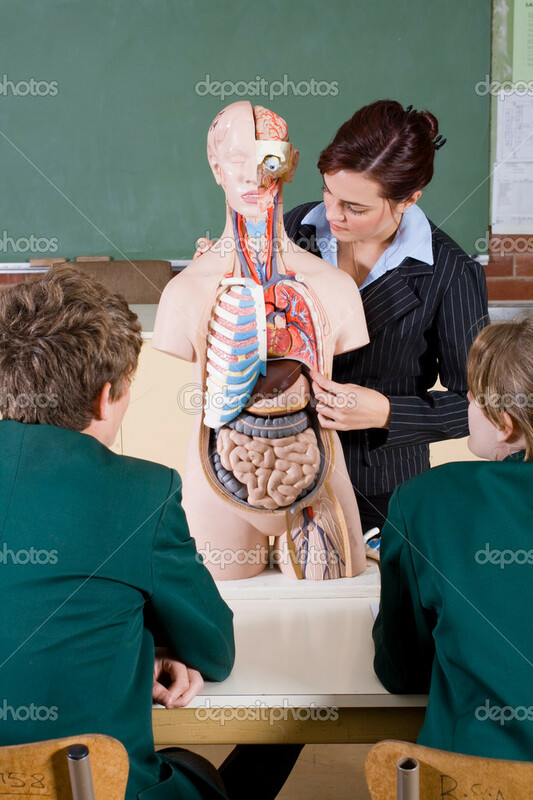 I bet those students who had her for a teacher knew they were blessed to have such a knowledgeable teacher. She is an enthusiastic person whose positive spirit is catching! Congratulations on a wonderful career and family and thank you for teaching our leaders of tomorrow how to problem solve! Sharon Lynn was my friend first, we were neighbors and gardeners together when we discovered our kinship though my genealogical research! We are cousins through my mother’s family, Beard, Reynolds, and Pierce through the Houchins, and the Clements all the way back to Jamestown! Sharon is a retired English teacher married to a retired Woodworking teacher. However, although they are retired from teaching, both of them work full time. Sharon went back to school after retirement and earned her CNA so that she could work with seniors, helping them remain in their homes. Sharon is a force to be reckoned with! Intelligent, creative, energetic even driven at times, she is dedicated to her clients and works diligently to make them happy and comfortable. It is easy to see why she still has former students who call her and ask for her advice. She lives here in North Carolina, taught in Pennsylvania, Ohio, and West Virginia, and has students calling her from California! She is a strong advocate who goes the extra mile to help students and friends through life, as well as school. 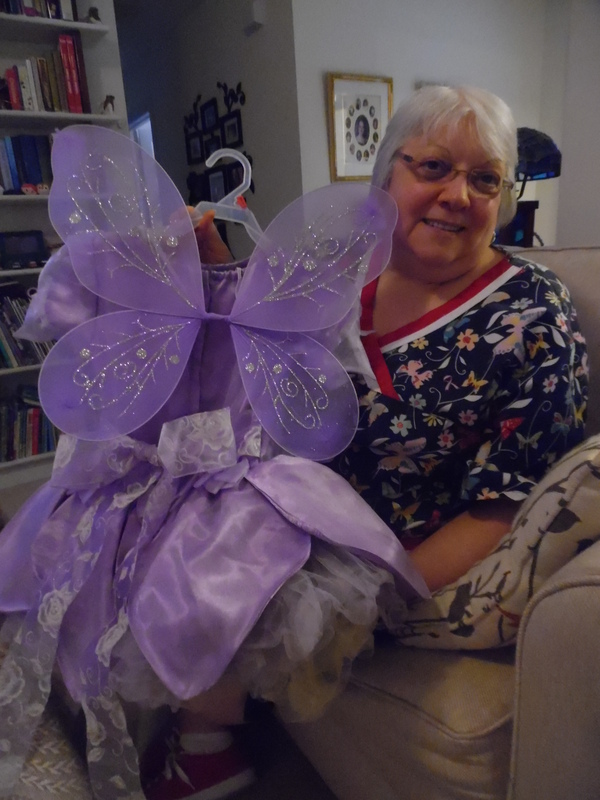 Sharon is a talented craftsperson also, making wreaths, cloth flowers, quilts, and costumes among other things. She and her husband facilitated the staging of plays and events for their church for many years. Over the years, they have kept a sick parent in their home and have helped support and care for their chronically ill adult son . The old adage, “ask a busy person” comes to mind when I think of my dynamic cousin Sharon! My younger cousin Stephanie Williamson Nicklin is the next teacher I want to honor. Stephanie is my first cousin once removed through the Kearse, Houchins, Langhorne family lines. Her Mom Claudia was my first cousin with her mother and my mother being Kearse sisters. Stephanie comes from a family of educators with her father a teacher and principal, and her sister plus many cousins and Aunts and Uncles being teachers. Stephanie lives in Virginia Beach, Virginia which is where she teaches Biology in the High Schools. She is assigned to different schools as a part-time instructor. Just think of all the more students whose lives she touches that way! She has two teenagers at home, and a husband who is a leader and instructor on the SWAT team of the police force. I know Stephanie well, and I take my hat off to her every day! She is a friendly, strong, smart, and kind individual whose enthusiasm and energetic approach to life never seem to wane! The students of Virginia Beach are so lucky to have her influence in their lives, although they may not realize that until later in life. I stand in awe of her ability to organize so well and cope with the dangers of her husband’s career while coping with teens and her own career. Way to go Stephanie, you rock! The sign below is one she loves, and that tells us just about all we need to know about the positive person she is–one who builds people up, doesn’t tear them down! Betty Spangler Smith is the first of two Spanger/Langhorne family member cousins I want to acknowledge. Betty is a retired Latin and Spanish teacher in High School who taught full time 33 years, and has been substituting for the last seven! She taught Latin levels 1-5, and AP Latin as well as Spanish levels 1 and 2. She also taught an Introduction to Foreign Languages class. What a rigorous career! What a great opportunity to expand the minds, abilities, even the worlds of so many students! Research shows that learning a foreign language is good for our brains–creating new learning pathways. We also know it allows us to communicate with many other cultures at home and around the world. Thank you Betty for giving our children this opportunity–for training our leaders of tomorrow! Betty is also an excellent genealogical researcher. I had the opportunity to hear her speak at a family reunion last year and loved it! She told of the history of the family, and anecdotal stories for all of us to enjoy. It was so great to see this dedicated teacher in action! Betty is also the supervisor of the Credit Union at her old high school, a job she really loves! She explains, “We are the only high school in our district that has a credit union! I work with 4 students who get community service time for helping me, and they get banking experience, so it’s a win-win situation for all! The kids I have are juniors or seniors and since we have some days of no customers, it really gives me a chance to get to know the 4 who work with me.” You know she is a genuine, caring teacher when you hear her say, as I did the other day, that it almost makes her cry to think of not interacting with students everyday when she truly retires again- possibly next year! Your influence will go on forever dear Betty. My own mother required me to take Latin in High School. She impressed upon me the importance and helpfulness of learning this classical language in developing my vocabulary and knowledge of words. 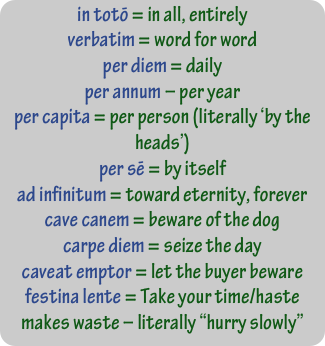 I have Mom and my Latin teachers to thank that I now know these Latin phrases and enjoy using them! One thing anyone who knows our family, from one end to another, has to admit is that we have incredibly talented, intelligent, and dedicated people in our group. 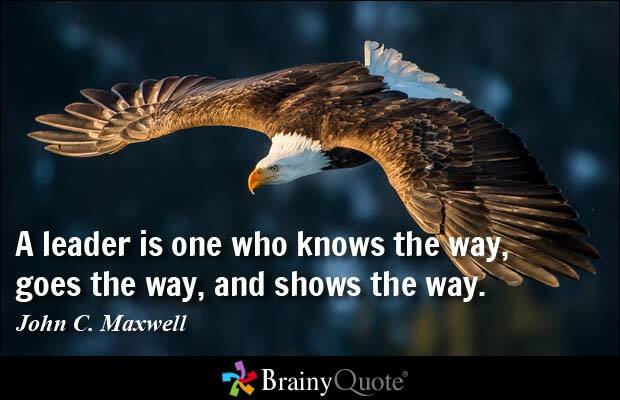 The fact that many have chosen education for their careers, only speaks more highly of our values. Epitomizing those character traits is Harriet Ann Caldwell Spangler who retired after 35 years of teaching all levels of High School Mathematics! She taught 7 years in Kentucky, and 28 years in Florida! Harriet actually taught Physics as well, but her favorite was always geometry with algebra running a close second! 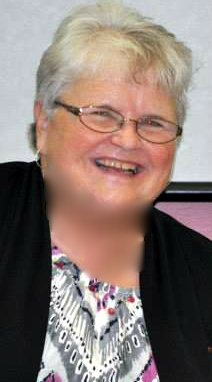 Harriet’s leadership skills were well recognized as she served as the Math Department Chairperson for many years at Newberry High School in Alachua County just west of Gainesville, Florida. What a career! When I look back at my own High School career, geometry was one of my favorite subjects as well, and I loved my math teachers all the way through school. I have no doubt that Harriet Spangler inspired many, many students to make the most of their lives. Teachers are our first line counselors, guidance counselors, and instructors–when are we going to let them know how strongly we value them! When I asked Harriet about how she and Otto met, she told me such a sweet and touching story, that I thought I’d share her words with you! Harriet and Otto attended Carson-Newman University near Knoxville, Tennessee. Since her husband was a year ahead of her, Harriet decided to quit college–NOT! She decided she needed to finish college in three years so that she could go with him when he attended seminary in Louisville, Ky! She went to summer school and carried some heavy loads of classwork–they both graduated in 1958! Harriet graduated with honors! 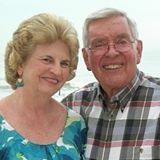 That same drive and determination carried her though life in raising her family, teaching her classes, and in helping Otto with his ministry to their community. What a wonderful woman and a wonderful teacher—whose life sets an example for us all! Together she and Otto raised three children, Chuck (Otto Jr.), Elizabeth, and Victor, who have become the kindest, most considerate adults who could ever make a parent proud! Otto was the Baptist Campus Minister at the University of Florida. When he died recently, there was an outpouring of love for him and for Harriet that was awe inspiring and let us know just how much this couple has touched their whole community. Harriet continues to lead her family through their grief, and to keep the faith she and her husband believed in so strongly! Harriet shared this video with us recently via facebook, and I thought it a blessing to share with all of you as she has blessed so many. Thank you, thank you, thank you to all of our high school teachers! It is surely not enough, but please know it is worth more than diamonds to our youth and our society! We are thankful to God for your gifts and your talents and for placing you with us and in our world! As we honor more educators, we will turn the spotlight on our Principals and on our Professors and Instructors in our colleges and universities. How exciting! Categories: Holshouser family posts, Kearse/Kerse family posts, Langhorne Family posts, Nicklin family posts, Pierce/Pearce family posts, Spangler Family posts, Williamson family posts | Tags: Betty Spangler, Harriet Spangler, High School Teachers in the Family, Martha Holshouser, Stephanie Nicklin | Permalink.